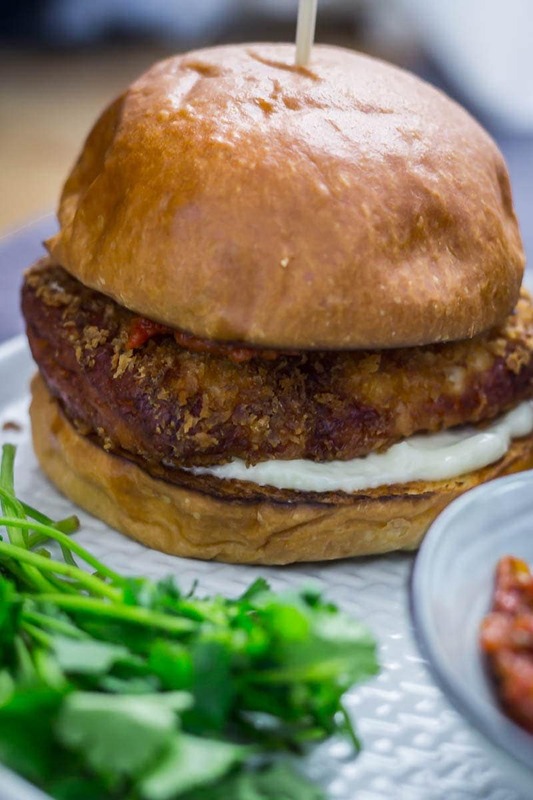 This halloumi sandwich is the perfect combination of crunchy and chewy. The sweet and spicy kasundi tastes amazing with the panko coated cheese for a filling vegetarian meal. I’ve found ANOTHER new way to serve up halloumi! You guys know how much I love to force halloumi into every possible situation. I’ve made halloumi curry, halloumi tacos, halloumi salad, halloumi wraps and baked halloumi to name a few. It’s vying for pizza with my favourite food (speaking of which, halloumi pizza sounds AWESOME). And I have so many more halloumi recipes up my sleeve. And now I’ve fried it and put it in a sandwich. I am extremely happy about this situation. Have you guys had halloumi fries? 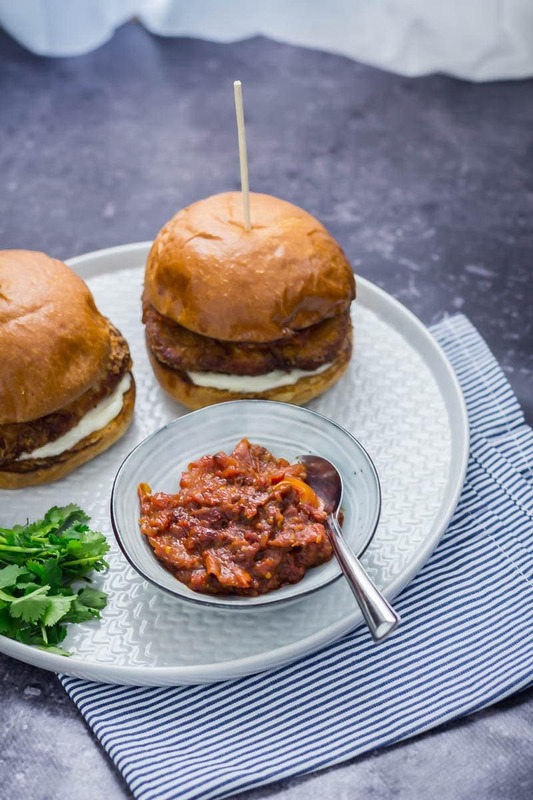 They’re crazy delicious and were the inspiration for this burger. I saw fried halloumi and thought, how can I eat more fried halloumi? And make it the star of the meal? So here you just coat your chunky halloumi slices in flour, egg and panko then fry them in a couple of inches of oil until they’re all golden brown and the inside is creamy and chewy. Then sandwich it in a brioche bun with a smear of mayo and a big dollop of kasundi. The kasundi really makes the sandwich, it’s sweet and spicy and amazing! Now the kasundi, that’s another thing. Kasundi is my new favourite condiment. 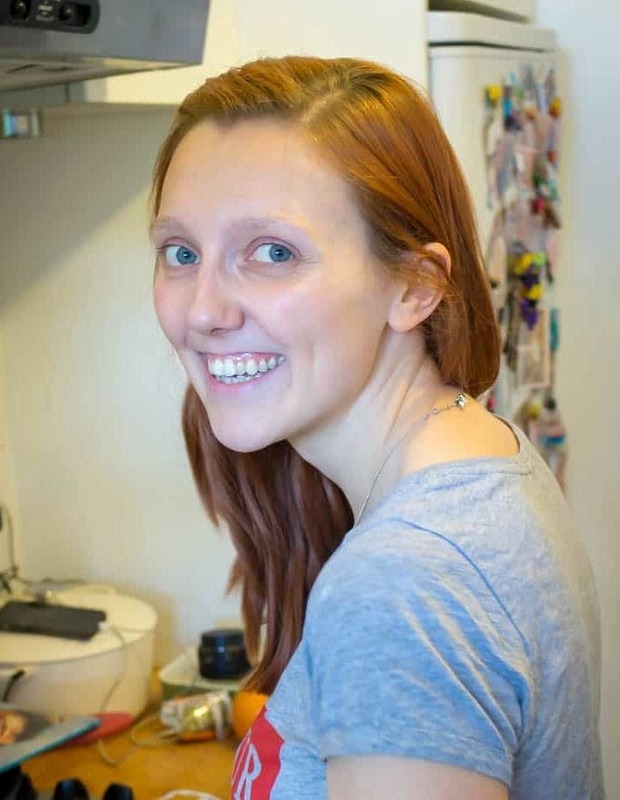 I first tried it in a coffee shop near where I live, they do the most amazing breakfasts and the best coffee (if you’re in South East London you need to go there, it’s St David’s in Forest Hill). 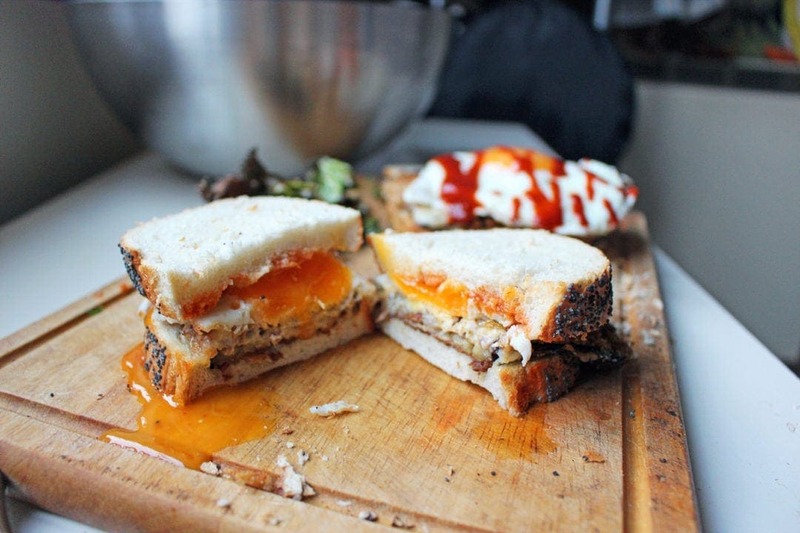 They do this bacon, egg and kasundi sandwich in a brioche bun and it is my all time favourite breakfast. 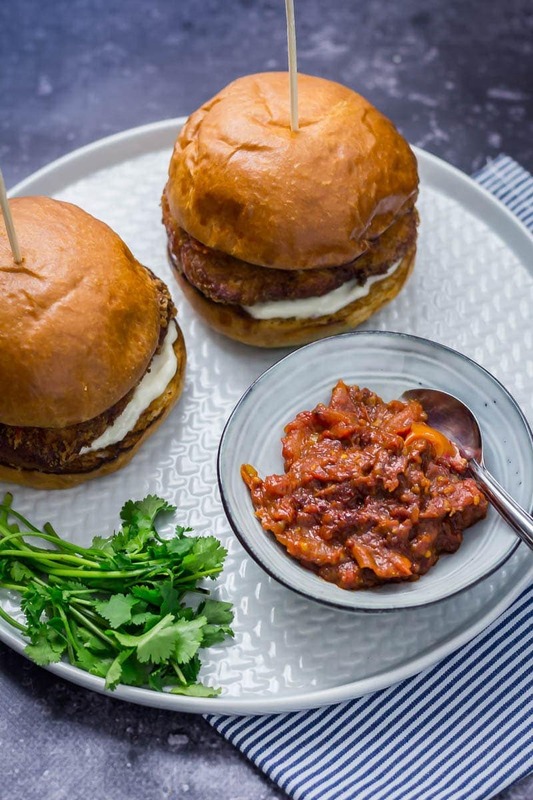 I’ve been meaning to try making kasundi for ages and it works so well with this fried halloumi sandwich. Kasundi is a rich, spiced, Indian sauce made with tomatoes and plenty of mustard seeds and garlic. It’s also got a slight sweetness from the tomatoes and brown sugar which makes it such a good compliment to so many dishes. Serve it in a sandwich like it is here or with bacon and eggs for an amazing breakfast. I think Kasundi is the perfect thing to go with rich foods like this halloumi. 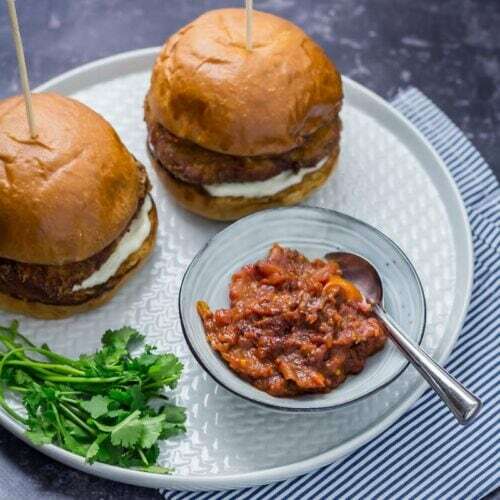 The spicy, mustardy flavour really helps to balance everything out and make it even more delicious. Make sure your oil is nice and hot before you start. It should sizzle when you drop a panko crumb in there. We split a 250g block of halloumi for these sandwiches which is quite a big slab. If you want to reduce the amount of halloumi it would still work and would make for a slightly lighter sandwich. This recipe is only for 2 because it wouldn’t work well for leftovers. The halloumi needs to be eaten straight away to taste its best. The kasundi, on the other hand, can definitely be made ahead and that will give the flavours time to develop so it’ll taste even better! Want more? Try these other sandwich recipes! Heat the vegetable oil over a medium heat and add the ginger and garlic. Cook for 2 minutes then add the chilli flakes, smoked paprika, turmeric, mustard seeds and curry powder. Cook the spices for another 2 minutes then add the cherry tomatoes and cook until they're beginning to burst. Pour in the vinegar, chopped tomatoes, brown sugar and season with salt. Cook until all the cherry tomatoes have burst and the sauce has reduced to your preferred consistency. Put the flour, beaten egg and breadcrumbs into separate bowls. Coat the halloumi slices in flour then dip them in the egg. Shake off any excess then coat in the breadcrumbs. Place an inch and a half of vegetable oil in a small saucepan and heat to about 190°C. Fry the halloumi slices one at a time until browned on both sides, remove on to a paper towel lined plate. 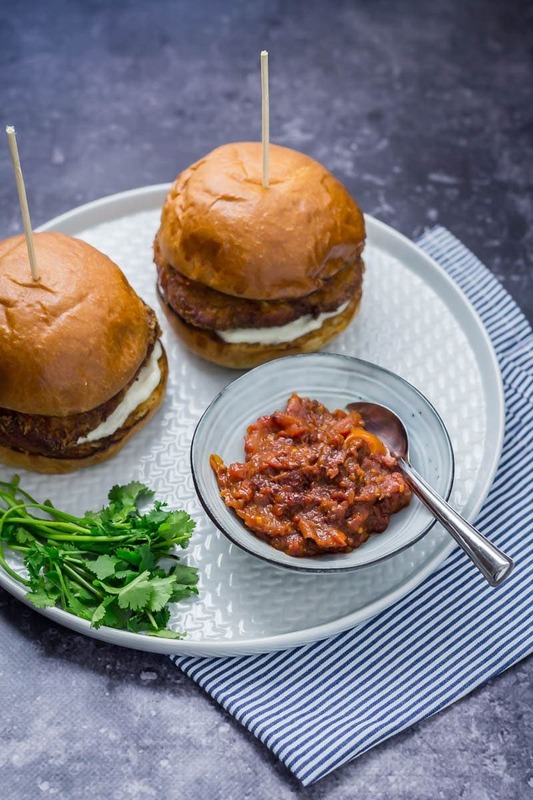 Split open the buns and spread the bottom half with mayonnaise and the top half with kasundi then put a halloumi slice in each bun. Note: The kasundi recipe makes more than you will probably need for your sandwiches. It keeps well in the fridge for at least a week. This means that the nutritional information is slightly out as the kasundi recipe will serve 4-6 rather than 2! I anoint you the “halloumi queen”! And I want this sandwich. This looks sooooo good! I could devour this right now. 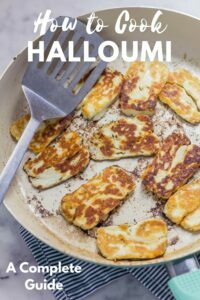 I also adore halloumi and can’t wait to check out these other recipes too! Oh, my word! I didn’t know what halloumi was before I saw it popping up on the internet! Your sandwich looks so delicious!!! Especially with the sauce!! I only wish you had taken a photo with a bite taken out so I could get a glimpse of the glorious Halloumi! Wow, this waking up to this fabulous recipe has left me starving. I love that you included so much information about this dish!